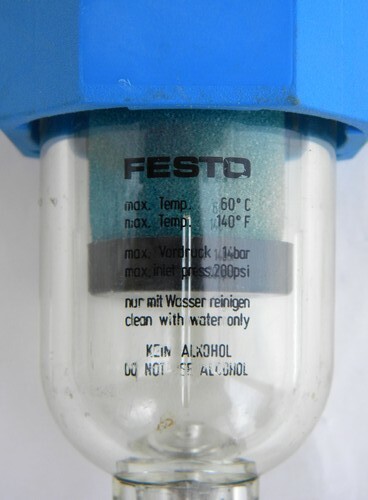 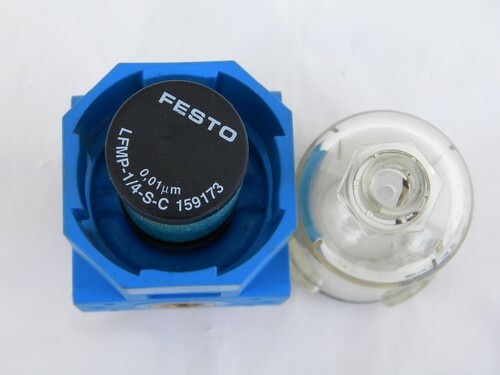 Festo model "LFM-1/4-S-B" filter and sediment bowl for industrial and commercial compressed air. 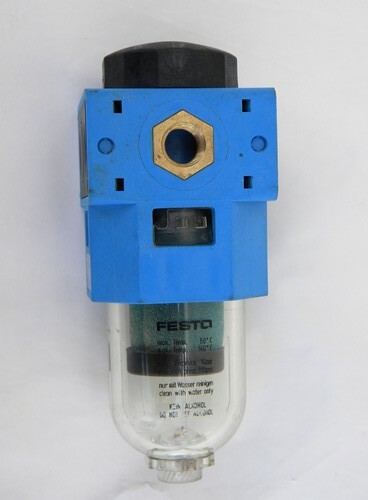 It is from the estate of an industrial engineer. 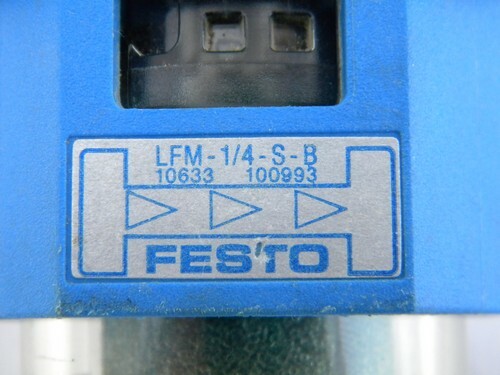 It is also marked "10633" and "100993". 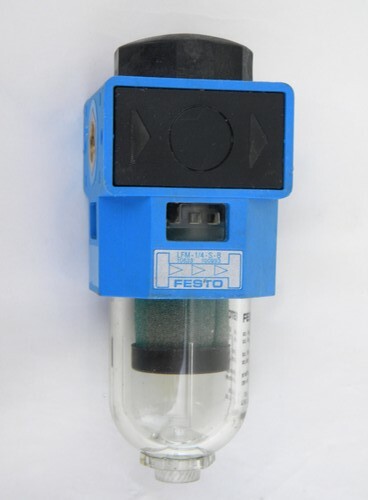 It is rated for maximum air pressure of 200 psi / 14 bar and maximum air temperature of 140 deg F. It measures 6" high overall.